It was one of the first films to be “ripped from the headlines.” Although, the great auteur sometimes denied it, his classic M was transparently inspired by the case of Peter Kürten, “The Vampire of Düsseldorf,” premiering in theaters two months before his execution. 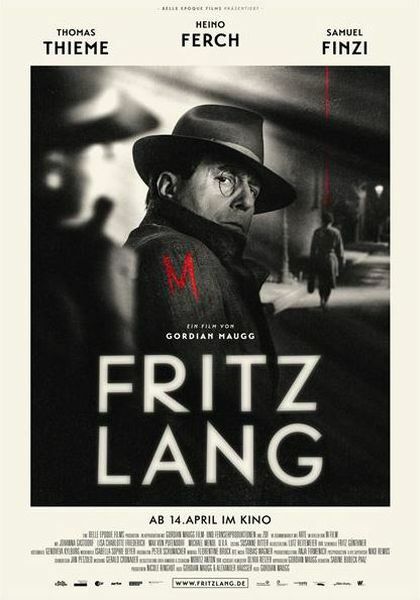 Gordian Maugg offers up some wild speculation as to why the case so fascinated the filmmaker in the fictionalized Fritz Lang (trailer here), which screens during the 2017 Fantasia International Film Festival. It would be the film that forever changed Peter Lorre’s life. It was also highly significant for Lang as his first sound film. While the Kürten case started out as grist for the new screenplay Lang has been unable to start, Maugg and co-screenwriter Alexander Häusser suggest other reasons the case hit so close to home for the filmmaker. Perhaps most obviously, Anna Cohn, a witness who last saw her murdered friend presumably in the company of the killer, happens to be a dead-ringer for his late first wife Lisa. The Düsseldorf police chief also happens to be an old acquaintance. Maugg flashes forwards and backwards, showing us scenes from Lang’s WWI service, his convalescence, during which time, he meets and falls in love with his future first wife, his affair with eventual second wife and great co-writer Thea von Harbou, and his current position as the monocled-king of Weimar high society. Yet, the Kürten murders bring out his dark side. Suddenly, he too is stalking witnesses and revisiting crime scenes. Indeed, Lang might just understand Kürten too uncomfortably well. It is devilishly difficult to portray Fritz Lang on-screen when the director roguishly played himself with so much dash and verve in Jean-Luc Godard’s Contempt. That subversively witty persona is the Lang we will always want to see, which puts Heino Ferch’s brooding, traumatized Lang at an enormous disadvantage. 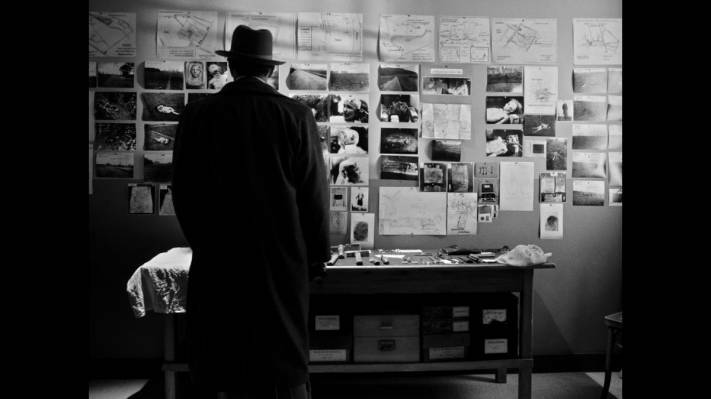 To be fair, he does some good work reinterpreting the director as a real-life film noir character, but the “real,” reinvented Lang is way more fun. Frankly, Jack Palance’s character in Contempt, the crass Jeremy Prokosch, would probably be the only one who would enjoy seeing Lang depicted in such an unflattering manner. Frankly, Harbou does not get much better treatment from Johanna Gastdorf (cold-blooded and highly calculating). However, Samuel Finzi would do Peter Lorre proud as the profoundly damaged, Dostoyevskyan Kürten. Lisa Friederich also deserves credit for valiantly laboring to humanize the film as the acutely human Lisa Lang and Anna Cohn. During the second act, Fritz Lang the movie really seems to be getting someplace as it capitalizes on the intrigue of the doppelganger motif and the suspense of the investigation. However, the pop psychology of the third act is not worthy of its subject. Stylistically, the incorporation of 1930 archival film and newsreel footage, ironically heightens the feeling of unreality, giving it a Guy Maddinesque vibe, which might be the most effective aspect of the film. Earning a conflicted response, Fritz Lang ultimately disappoints when it screens tonight (7/28), during this year’s Fantasia.